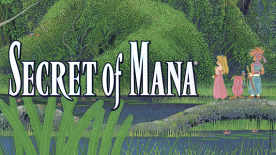 "Originally released in 1993, ""Secret of Mana"" is by far the most popular title in the “Mana” series. Now it's finally getting a long-awaited, full 3D remake! The adventure of Randi, Primm, and Popoi is reborn in the new ""Secret of Mana""!" Regarded as one of the best role-playing games of all time, Secret of Mana is being reborn with a full 3D remake - it is still the 1993 JRPG classic you love, but updated for modern tastes. The beloved story will be retold with modern graphics and controls, as well as a refreshed musical score, a full voice cast, and all-new content. Among the new features, Secret of Mana HD boasts online multiplayer for up to three players, in case anyone wants to sample the cult classic’s combat with a friend or two. Time your strikes and wait for the perfect opportunity to do max damage with your fully-charged sword as Secret of Mana’s unique combat returns in all its glory. The remake also comes with some free DLC, including the Moogle Suit, the Tiger Two Piece - wearable for Primm - and the Tiger Suit, wearable for Randi and Popoi. The most popular game in the Mana series is about to get bigger and better, essentially. Coming February to coincide with the original’s 25th anniversary, Secret of Mana HD is heading to PlayStation 4 and PC. Revisit recognisable locations and bathe in nostalgia in this meticulously crafted remake. Pre-order on Green Man Gaming to get your Secret of Mana HD key at launch. © 1993, 2017 SQUARE ENIX CO., LTD. All Rights Reserved. SECRET OF MANA is a registered trademark or trademark of Square Enix Co., Ltd. SQUARE ENIX and the SQUARE ENIX logo are registered trademarks or trademarks of Square Enix Holdings Co., Ltd.